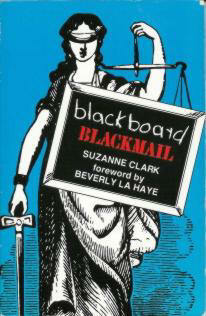 Suzanne Clark was sued by the NEA, and Beverly LaHaye's newly formed organization, Concerned Women for America, took this as their first legal case--and won. BLACKBOARD BLACKMAIL documents the tyrannies of the NEA, and explains why Christians must give their children a Christian education, not a secular one. Beverly LaHaye wrote the foreword, and Mary Pride and D. James Kennedy wrote pieces for the back cover.